5.) 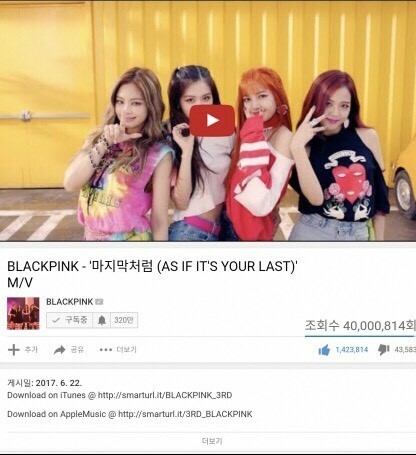 [+58][-2] Blackpink is amazing!! "As if it's your last, as if it's your last~"
3.) [+1070][-81] Blackpink is seriously amazing. I hope they do well this time as well! 16.) [+127][-10] The record for 50 million views is 18 days, and let's break this as well, hwaiting!! 17.) [+164][-23] Definitely our Blackpink ㅎㅎㅎ JenChuLiChaeng, hwaiting! !